Premise- An “unsuspecting” contestant is shown being picked up by the “cash cab” in New York City. Before the contestant is told that they are on the show, host Ben Bailey would casually ask the person where they were going. Bailey would usually speak in some sort of accent to slightly throw them off. After this has occurred, the game would begin. The length of the contestant’s game was determined by how many blocks away their destination was from they were (50 blocks could rack up a lot of money for them, while 25 blocks would be a brief, but profitable game). For the entire car ride, Bailey would ask the contestant questions with the dollar value and difficulty of the questions increasing every few questions. The first four questions are worth $50 ($25 in seasons one and two), the second four questions are worth $100 ($50 in seasons one and two), and $200 for each question afterward. If the contestant was stumped on any question, they had a chance to use either a Street Shout-Out, which enabled the contestant to ask someone on the street for help on the question, or a Mobile Shout-Out, which enabled the contestant to call someone for help with the question. At certain times when a contestant won at least $200 and the cab stopped at a red light, Bailey would announce a “Red Light Challenge”. In a Red Light Challenge, Bailey would read a question which required between four to six correct answers, depending on the question. The contestant had 30 seconds to shout out as many answers as possible. If the contestant came up with the correct answers before time ran out, they were awarded $250. If the contestant could not come up with all the answers, they were not penalized with a strike nor did they lose any money. If a contestant answered a question incorrectly, they earned a strike. Like in baseball, three strikes and the game was over and Bailey would pull the cab over and the contestant had to leave the cab losing all the money they had earned up to that point. However, if the contestant reached their destination before getting three strikes, Bailey would give them the choice to either take the money and leave or answer the Video Bonus Question (once sponsored by Aflac). If the contestant chose to answer the Video Bonus Question, Bailey would play a video clip and ask the contestant a question based on the video’s content. A correct answer doubled the contestant’s winnings while an incorrect answer lost the contestant all of their winnings. 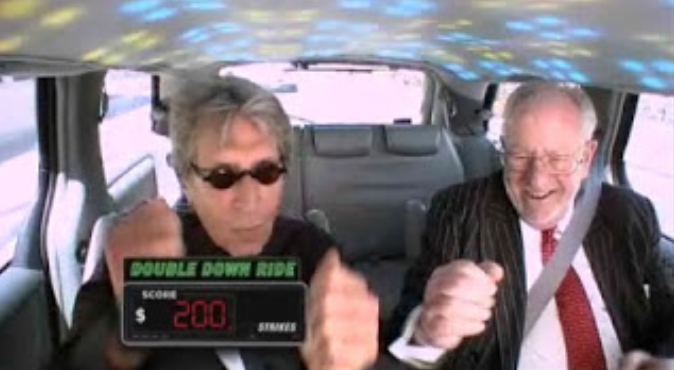 Starting in the fourth season, some contestants were chosen to participate in a “Double Ride” game, where all the dollar values were doubled. During the six years that Cash Cab has been on television, this show has spawned two spinoffs (Cash Cab After Dark and Cash Cab Chicago) and one four-episode special (Cash Cab Las Vegas), won three Daytime Emmys (2008-2010) for “Outstanding Game/Audience Participation Show”, and has even begun airing reruns in syndication. Cash Cab’s questions remind me of the always challenging questions in the Trivial Pursuit board game series. The show’s format reminded me of the former TNN (now Spike TV) game show Oblivious, where host Reagan Burns would approach random people and engage them in a quick quiz for cash prizes. Lasting for only two seasons, this show was not nearly as successful as Cash Cab is today. This is probably the most successful off-location game show I have ever seen. The fact that this game show has pulled enough viewers to last for six seasons is incredible, despite the fact that it airs on cable television. Ben Bailey himself has been nominated for three Daytime Emmy Awards for “Best Game Show Host” and has won one Emmy in 2010. Ben Bailey was the perfect choice for this show. I wouldn’t be too surprised if he won a second Emmy for being a great host. On a quick side note, Bailey is a certified taxi cab driver, and not just some actor posing as one. The show also makes great use of its time by usually fitting three games into each episode and not dragging out each game with unnecessary commercial breaks or unnecessary pauses during each game. 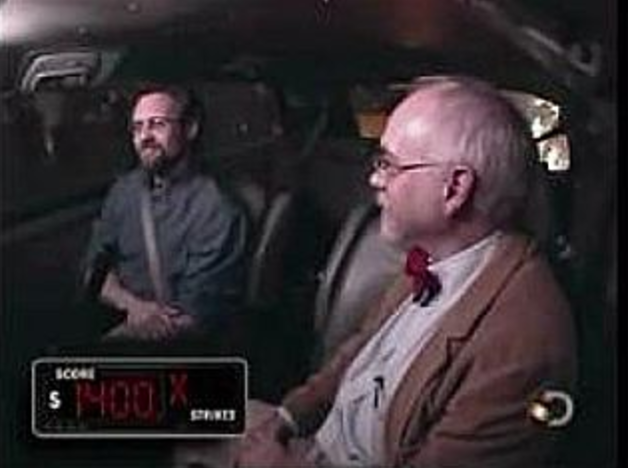 I’m amazed by show’s camera work (considering they are filming the show in a car) and how they employed an assistant to ride in the cab with Bailey to control the lights, music, and the contestant’s winnings and strikes. I have also noticed that the contestants on the show don’t really take advantage of the Shout-Outs that are given to them. Even though the random selection of people being picked up by the cab is partly staged and planned and the prize budget is low, Cash Cab still brings the same excitement and fun as if the contestants were playing on a big money game show, such as Wheel of Fortune or Millionaire.